Quinta do Lago Golf Club has begun this year’s series of ‘National Day’ events with the competition traditionally staged on the first available Sunday nearest St David’s Day. This year it enjoyed – at least for most of the competition – welcome sunshine, albeit accompanied by occasional blustery spells. Despite sometimes challenging conditions, the standard of golf was commendably high and the eventual winners of the 2018 St David’s Day Trophy returned an impressive 40 stableford points. 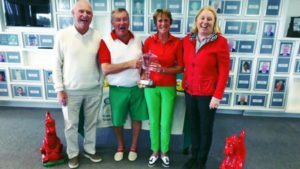 The year’s first tournament in Quinta do Lago’s ‘National Day’ series continues a tradition stretching back to 1990 when the inaugural event, the St David’s Day trophy, was launched. 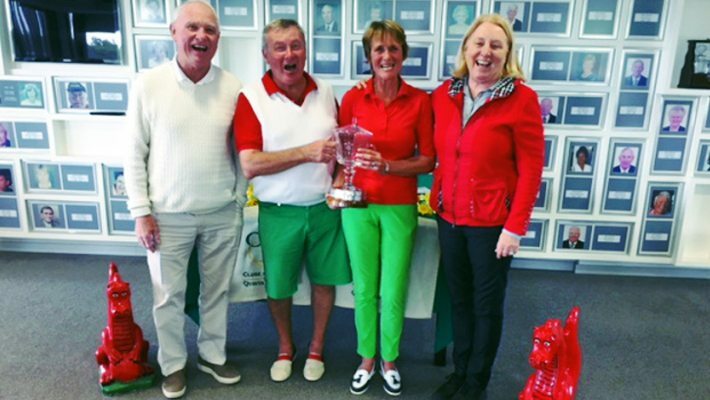 The 2018 tournament was won in fine style by Richard and Val Harrison (pictured, centre, receiving the trophy from captains, Rod Sumner and Jane Gardner), closely followed by runners-up, Rupert and Diana Mucklo on 38 points. 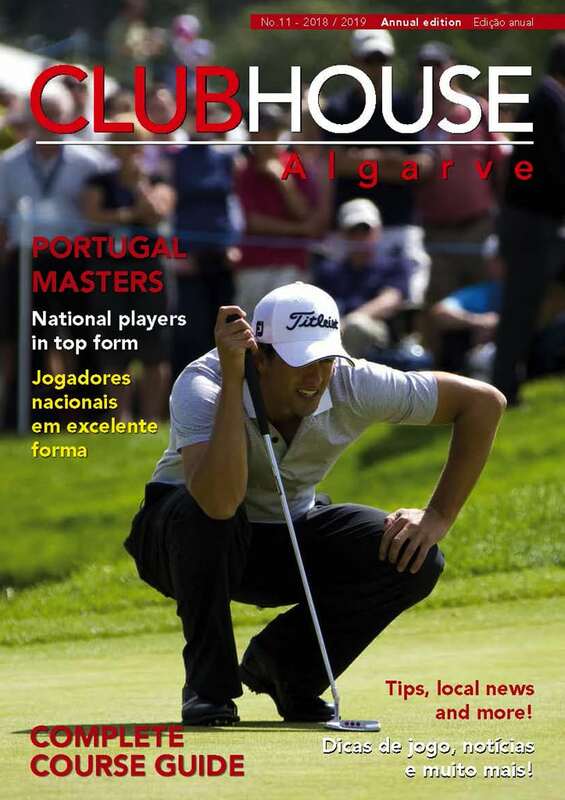 This latest, typically successful, event in the Quinta do Lago calendar is consistent with the expectations of yet another great season of golf at the prestigious Algarve club.